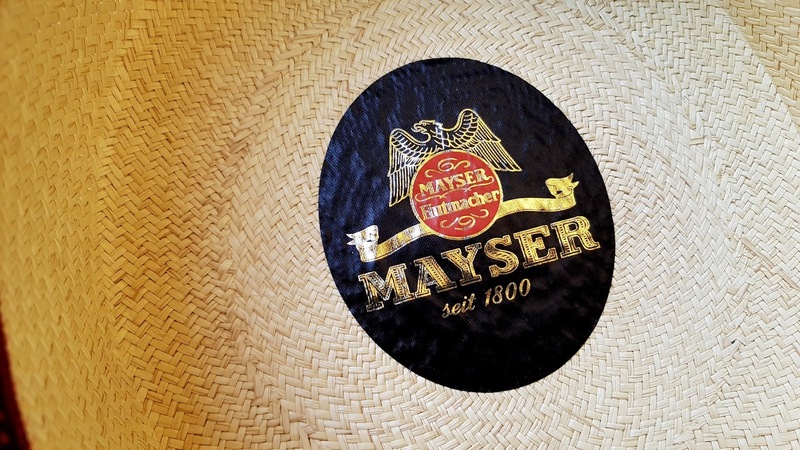 Landless Gentry: I've Found My Summer Hat Right here in Munich at Breiter: Panama Boater by Mayser Hutmacher! 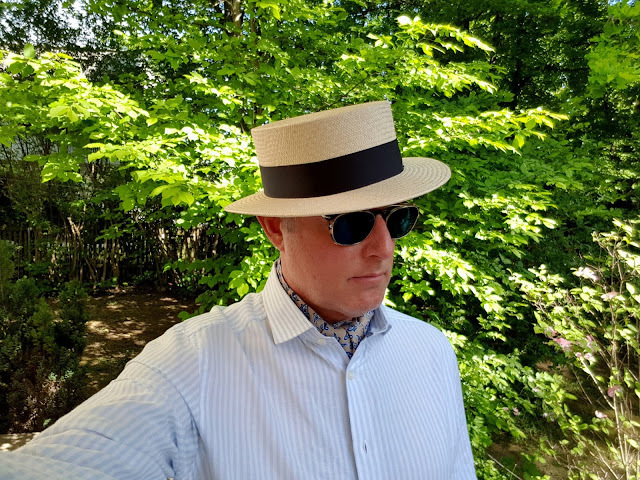 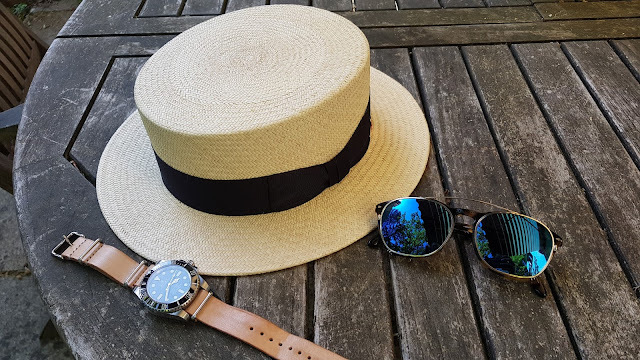 I've Found My Summer Hat Right here in Munich at Breiter: Panama Boater by Mayser Hutmacher! 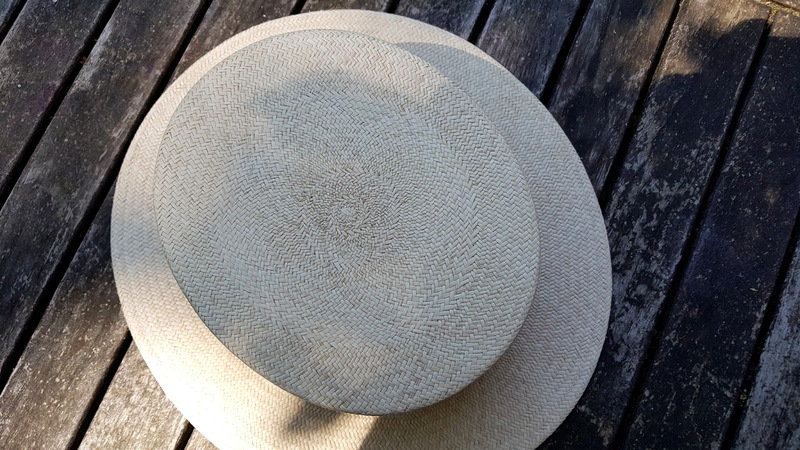 I've been looking for a summer hat for about the past month since the weather here in Bayern as turned unseasonably warm and the birds song in our garden has become more riotous. The choices there are surprisingly numerous from traditional flat caps in cotton and linen, straw woven short brimmed trilbies, fine wider brimmed Panama's in beautiful cream white (whom among us wouldn't wish to channel Julian Sands as George Emerson in 'Room With a View'). 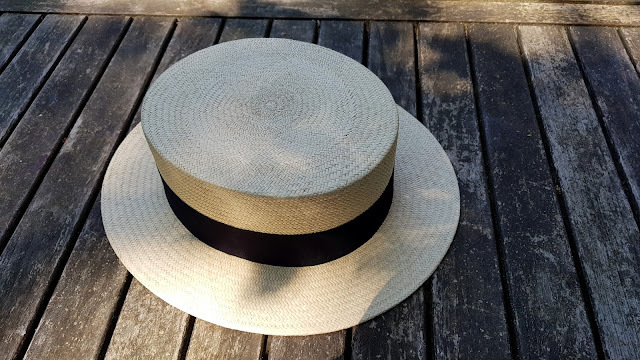 Also in the running an Old-school straw boater - hard as a cracker-board. 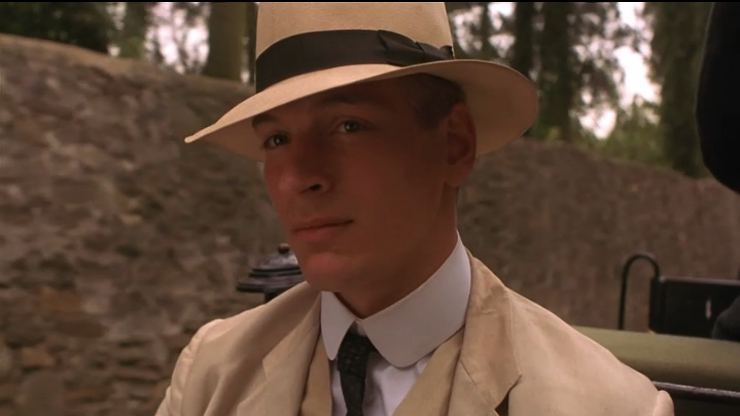 They were all tempting and all have their distinct attraction. Doubtless, I can envision all of these in my future as some point. 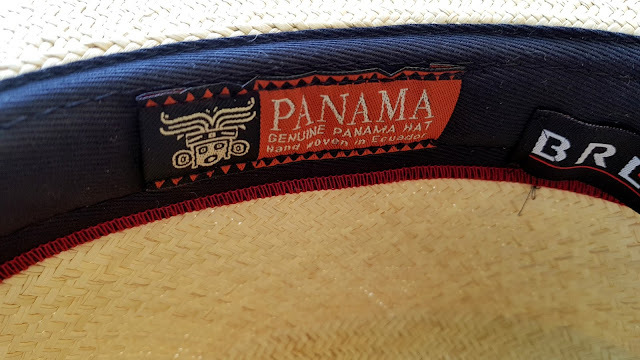 Nicely priced within my budget, we bought it on the spot. 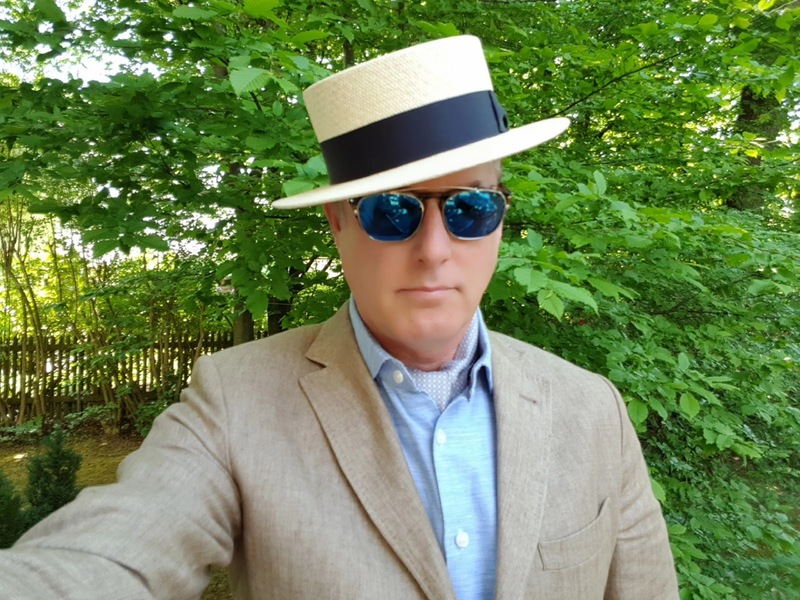 Kudos to the staff at the Breiter Hat 'am Dom' store for their friendly and professional service in making sure that I bought the right size and had it perfectly sized. Made my Mayser hat-makers since 1800, this is one of if not the oldest hat making firms on the European Continent (Lock & Co hatters has them beat by 124 years, but they are not on the continent). 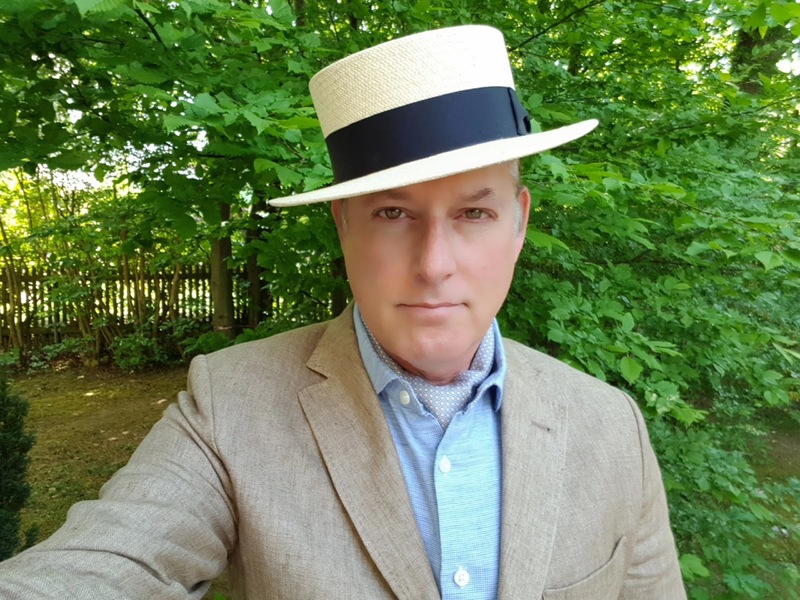 You will find a very interesting history of the firm on their website. 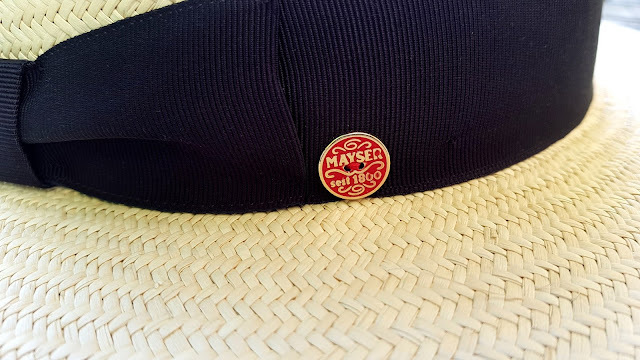 I can't say enough about the quality of this hat. 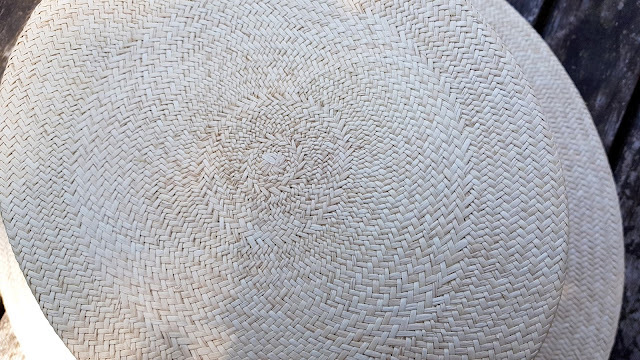 It's a true Panama, beautifully hand woven in Ecuador, its rather flexible, not stiff and somewhat uncomfortable like the standard boater hats I've tried. 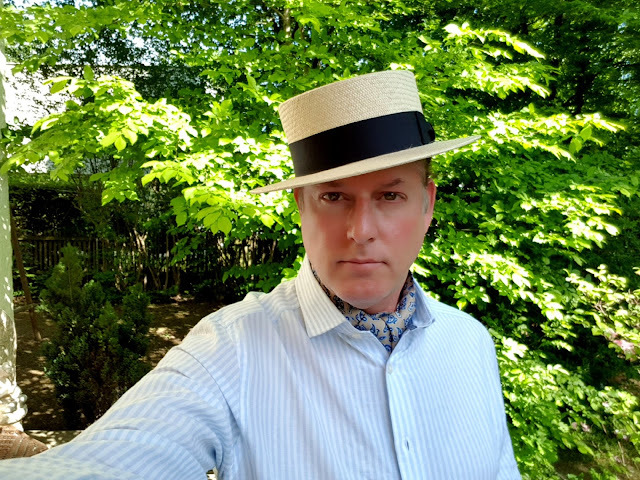 Best, I think I look rather jaunty in it. 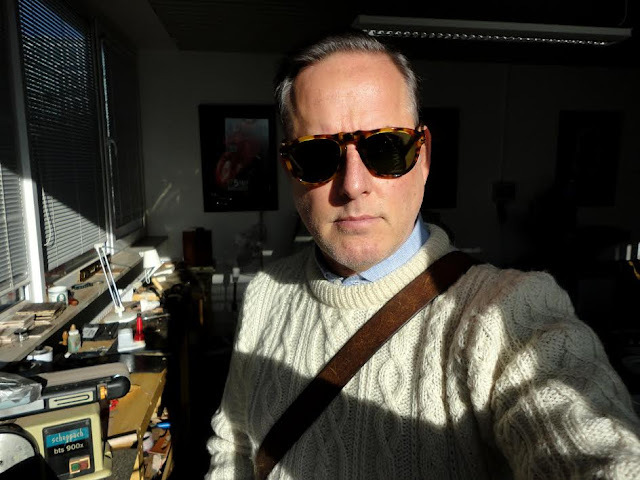 I even looks great with my clip-on sunglasses. 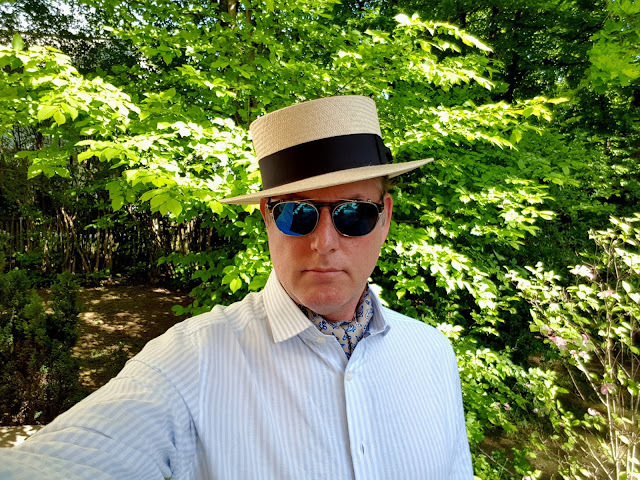 I'm looking forward to wearing my new Panama boater to my upcoming trip to Elba, Italy later this month!